Before 1914 two alliance blocs emerged in Europe. Britain, France and Russia established the Triple Entente, and Germany's Triple Alliance included Austria-Hungary and Italy (who actually later joined the Entente). With Germany cancelling their Reinsurance Treaty with Russia, there was no guarantee that they could count on Russian neutrality in the event of a war with France. As such, Schlieffen laid down the Schlieffen Plan before the outbreak of WW I. With the Schlieffen Plan Germany planned to defeat both Russia and France. As Germany expected Russia to take about six weeks to effectively mobilize their huge army in the East, the Schlieffen Plan outlined how they could defeat France within that period with most of their army. With the French knocked out of the war, they could then turn their full army to defeat the Russian Empire in Eastern Europe. The original plan required that German troops pass through a couple of neutral countries to invade France. Those were Belgium and Holland, but German troops passing through probably meant invading. Germany planned for five armies to advance through Belgium and then into France in a grand wheel motion. This grand wheel motion was to pass the right-wing of Paris to encircle the French capital. The aim was to trap the French army in a grand pincer movement that would cut off northeastern France. With a small German force guarding the Franco-German border, they expected the French to move forward. That would ensure the encirclement of French troops as the bulk of the German army struck to the rear. In 1914, Germany declared war with both the Russian Empire and France. 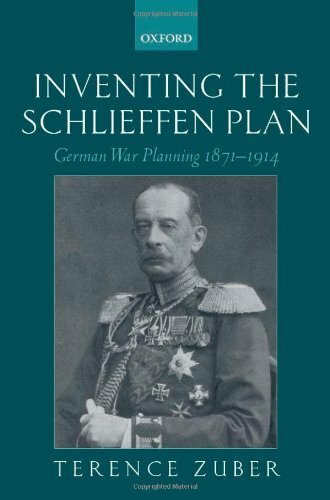 The Schlieffen Plan remained the cornerstone of German military planning, but the German High Command had made a few modifications to it. Among the most notable modifications was that German troops remained out of Holland. In addition, they pulled a significant number of troops away from the invasion force to fortify Alsace-Lorraine and Germany's eastern border. Some historians have stated that this maneuver all but ensured the defeat of plan. Germany's thrust into France, through Belgium, was initially effective. Although it took a little longer to defeat the Belgium army reinforced with British Expeditionary Force (BEF) troops. That slowed the advance, but the German army still broke out toward Paris. However, the expected encirclement of Paris never happened as the right-wing of the German army was a few divisions short. Instead, they swerved to the southeast of Paris toward the River Marne. At the Battle of the Marne the French and British troops held firm. There the French rushed in reinforcements, and exploited a gap in the German lines. As such, the Germans pulled back to set up new lines. With Germany's army withdrawing from the Battle of the Marne, France had defeated the Schlieffen Plan. The German army dug-in, but was by no means defeated. However, they had not defeated the French army. Whilst the Germans repelled the Russian advance into East Prussia, they had no clear plan B that could defeat both the Russian and French army reinforced by British troops. Germany did later defeat the Russian Empire. However, in 1918 German lines in France collapsed after their defeat at the Battle of Ameins. Thereafter, the war ended in defeat as the U.S., French and British armies pushed German troops back toward the Franco-German border.